Join the conversation on #whatisschool this Thursday September 25 at 7PM EDT (Friday 9am AEST, 11am NZT, 7am Singapore) as we discuss the possibilities and pitfalls of opening the classroom to digital global technology. This week we will be looking at digital citizenship. 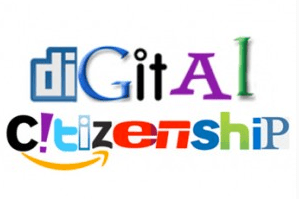 What images do the words ‘global student’ bring to mind, how about ‘digital citizen’? Do you see a classroom full of students working on PEDs? Or a twitter style PLN where learning continues 24/7? Maybe a glimpse at students on the other side of the world sharing stories about their classroom and what’s in their lunchbox; or maybe you see something much more sinister even dangerous? In a world where technology transfers information faster than we can consume it we have realised learning opportunities that amaze and excite both student and teacher in their richness and complexity. We have also seen poor judgement and grievous interaction that has lead to injury, and even death. So how can we encourage students to become masters of technology while teaching them to safely share in arenas where information they post lives on forever? This week #whatisschool tackles the opportunities and problems of opening the classroom to digital media as we explore how to help students become leaders, thinkers, creators and digital citizens in a global arena. Q1) What is digital citizenship and how can it encourage students to be great leaders, thinkers & creators? Q2) How would you set up self-directed opportunities for your students to interact with others in their global community? Q3) What safeguards need to be instilled in the classroom setting to ensure good digital citizenship? Q4) How could you grow a student driven, twitter style PLN that would be a safe place to learn 24/7? Q5) How could you teach students to use open (global) or closed (regional) social media to solve big problems working together? Q6) What values need to be instilled to eradicate cyberbullying & the attitude that anonymity brings acceptance to damaging behaviour? Such interesting and though provoking questions. I look forward to reading some answers. Thanks for the follow. Glad my PLN retweeted you!